On Monday 29 September 2014 the International Criminal Tribunal for the Former Yugoslavia (ICTY) in the Hague heard the Prosecution’s final arguments in the genocide and war crimes trial of former Bosnian Serb leader Radovan Karadzic, charged with some of the worst atrocities in Europe since World War II, including the Srebrenica massacre of 1995. Initially indicted on 25 July 1995, Karadzic, 69, is facing 11 charges of genocide, war crimes and crimes against humanity committed against Bosnian Muslims (Bosniaks) and Bosnian Croats between 1992 and 1995 during the war in Bosnia and Herzegovina, which claimed more than 100,000 lives and displaced 2.2 million people. Karadzic evaded arrest for many years to be finally found living in Serbia in July 2008, under an assumed name, reportedly practicing as a faith healer. He was arrested on a Belgrade bus and taken to The Hague; his ICTY war crimes trial commenced in October 2009. Prosecutor says Karadzic along with late Serbian president Slobodan Milosevic and Bosnian Serb general Ratko Mladic acted together to “cleanse” Bosnia’s Muslims and Croats from Serb-claimed territories after the collapse of Yugoslavia in 1991. “Under his command and oversight, Karadzic’s subordinates and those cooperating with them expelled, killed, tortured and otherwise mistreated hundreds of thousands of Muslims and Croats,” said the prosecutor’s final trial brief (PDF click here), released on Friday 26 September. “The scale and scope of these criminal campaigns is vast,” the brief says. Karadzic is notably accused of masterminding the July 1995 massacre in the small eastern Bosnian enclave of Srebrenica, where Bosnian Serb troops slaughtered almost 8,000 Muslim men and boys and dumped their bodies into mass graves. Apart from genocide, Karadzic is also facing charges over the 44-month-long siege of the Bosnian capital Sarajevo, which ended in November 1995 with some 10,000 people killed. During the siege, “fear pervaded daily life — the most mundane acts such as crossing the street or fetching water carried the risk of death,” the prosecutor said. In their final statements the prosecution stated on Monday that Karadzic was the driving force of genocide against Croats and Bosniaks in Bosnia and Herzegovina; that he was responsible, among other war crimes acts, for the killing of 7 to 8 000 men and boys in Srebrenica, and for the shelling of Sarajevo. The prosecution seeks lifelong prison sentence. The ICTY prosecution has no doubts: Radovan Karadzic is a “Mafia-gangster” and a liar who implemented genocide and ethnic cleansing. After hundreds of witnesses, 8 000 pages of court transcript and 10000 items of evidence the prosecution minced no words, hid no emotion, at the Hague on Monday. Tieger said Karadzic publicly “bragged at the time about the painstaking steps he was taking” to violently remove non-Serbs from parts of Bosnia to create an “ethnically pure” Serb state within Bosnia. The court saw many examples of brutality, depravity and sheer criminal activity as evidence – evidence that showed prisoners in these camps were forced to eat parts of each other’s bodies, women were forced to clean up blood during the day and were raped at night, to thousands of boys and men murdered in Srebrenica. All that and more was done within the joint criminal enterprise that had as its goal a forceful creation of an ethnically clean Serbian state. 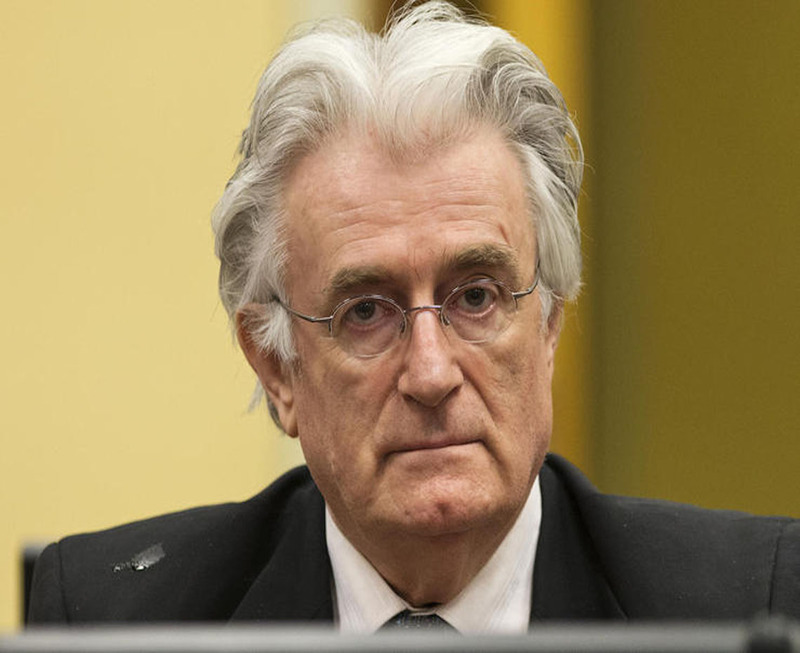 At his opening statement in March 2010, Karadzic told judges that the atrocities for which he was being held had been “staged” by his Muslim enemies – and that the Srebrenica massacre was a “myth.” Do not expect remorse or admission from a born and bred criminal. It’s shocking to think of the terrible atrocities that took place at the time. Thank you, Ina, for posting this and for reminding the world. Yes, John, it’s still si fresh in the minds although two decades have passed, I think until the last war criminal is packed away to rot there will be little ease. Things are looking up though. Am I wrong, or should Bill Clinton and Madeline Albright be questioned for their part in this? Clinton ordered US bombers to be painted with U.N. markings. And the most sick thing is that Serb friends and neighbors were the first ones to kill Croats and Bosniaks! I am proud I voted yes to Bosnia Herzegovina indepedence everything that happend in the war shows we were rigth in that decision…. and I hate that fact that the Serb republic is allowed to exist when its build on genocide!!!! the Serbs are really shameless living in looted houses more than 20 years! “hundreds of thousands suffered months long sieges in Bihac, Derventa, Gorazda and Sarajevo. ” and in Travnik where Serb siege terroized us! they tried to starve us to death! there are 80000 Serb war criminiels in Bosnia Herzegovina not only Karadzic ! Before the war, a woman told me, people lived together peacefully, all Bosnian. They became Serbs or Croats or Muslims later. Well, Clare, that is true to some extent and especially visible to the naked eye, but if one dug deeper there was a great deal of unrest, unhappiness, emigration, those who help public office were Party operatives and had it good, the “brotherhood and unity” was the communist Yugoslavia slogan so there was quite a bit of that, albeit unwillingly in many examples. I would disagree with that woman various nationalities including Slovenians and Macedonians etc did identify themselves as such within the Federation, but there was a push to create a new nationality called “Yugoslav” and a relatively small number of people declared themselves as of Yugoslav nationality as opposed to citizenship. That woman is clueless Clare. Sorry. People who lived in ‘peace’ there did so because they kept their mouths shut. NO freedom of expression, speech, movement, nada ! Perhaps she was a member of the Communist party. Wonder if she knows who Blessed Stepinac was and how he was tried in a puppet court and sentenced to prison by the wonderful Yugo regime? Ask an Albanian how he fared in Kosova going to university underground because the Serbs hated them or a Catholic Croat in Herzegovina who could not name his child something ‘patriotic’ or baptize him publicly or sing ‘patriotic’ songs. Ina spells it out clearly. At least now people can call themselves what they actually are and fly the Croatian flag for example. Many people who lived in free and democratic countries have no idea how people in the ‘eastern bloc’ lived. Read about the poor Ukrainians, Czechs, Hungarians under the Soviets. It was the same in Yugo land, only Tito was smarter. He didn’t build an iron wall. Instead, he entertained the likes of presidents and movie stars, while residents died in labour camps. She was a Muslim refugee in England. “Mr Karadzic said that every shell that had fallen on Sarajevo “hurt me personally”, Beginning his defence at his trial in The Hague, he said he was a “tolerant man” who had sought peace in Bosnia. The face/faces of evil before us. We can cry as much as we want but the Serb Republic is a fact on ground. It cannot be changed. The Serbs played a canny game. While only one third of the population they succeeded in gaining half its territory. It showed that “fascism” can result in spectacular gains. However, you have to have good allies and with Britain and France in your corner you cannot go wrong. There is absolutely no way in the world that the British elite would not reward Serbia for its murder, death and destruction in Bosnia. “It just would not be cricket” to use a quaint English phrase. What about Croatia? Tudman played a canny game too and emerged triumphant. While the Serbs got half, the Dayton Accords did push them far away from the Dalmatian coast and the Muslim-Croat Federation does act as a buffer zone for Croatia proper. Another thing, have you noticed in a German-dominated Europe Croatia does better from a geo-strategic point of view. The problem is a weak leader like Josipovic might throw away all our advantages. Excellent and concise review of how the world works Ante. I would add that it was the OHR, UK and unfortunately US that systematically robbed Croats of their constitutional rights as per Dayton, and in the case of the violent attack and occupation of Hercegovacka Banka – and its being run into the ground by the UN appointed manager, the alcoholic Toby Robinson – their economic freedom. Considering that ORAH is splitting the left vote, overtaking SDP in popularity, and Germany emerged victorious in the behind the scenes battle with the UK and its proxies in Croatia’s government and media over the extradition of Perkovic and Mustac, things are looking much better for Croatia and HRHB Croats, with even the International Crisis Group stating that a Croatian entity would be legitimate and no threat to B&H security or peace. My only worry is that Milanovic made a back door deal in the US to make us a de facto colony, continuing the post-2000 multinational takeover and de facto serfdom of a majority of Croats (save Istra, Zagreb and Zagorje), and, considering the US is the carrot and UK is the stick in the global Anglo-American empire, we would lose out in the long run because Anglo interests were and always be pro-Serb and continuing the strategy of tension. 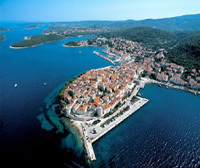 Croatia’s natural place is Central Europe. Play and trade with everyone but very few countries can be trusted, only those who have done the most that they could without having caveats and or crossed fingers behind their back should be close allies. It is fun watching this clown trying to wriggle his way out of this one. Hopefully it will be the final nail in the coffin for Josipovic. Imagine having a Yugophile as your “security” advisor? In an independent Croatian state? Just incredible. To be frank I really don’t understand these people. Why do you want to work for a country you despise? The solution is simple. If you can’t stand us then just leave. Go to Serbia. Go wherever. These antics from the likes of Josipovic doesn’t take your breath away. It takes your brain away too. They enjoy ruining Croatia, that is why they stayed and stay. 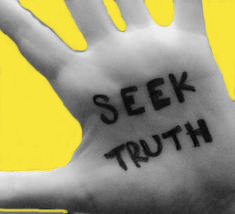 The appointment of Jovic, in any other country in a similar circumstance, would have led to an immediate impeachment and new presidential election considering his entire academic career was based off of blatant misquotes and disinformation at the expense of historical fact, undeniable truths, and Croatian national interests. He was and remains an agent of foreign (UK/Serbian) interests. I hope this brings some salve to wounds the family members of the victims. Sad the Balkans has birthed one of the most evil men. Thanks for the kind words therealamericro. I am a firm believer in the Bismarckian tradition of Realpolitik. During the Homeland War I was an economics student at the University of Western Australia. One day I picked up The Guardian newspaper to read an article about our war with Serbia. It was at about the time when Croatia was one third occupied by Serb forces and a UN-brokered ceasefire was announced. The Guardian said the Serbs were victorious and that Croatia, listen to this carefully, had “died at birth”. I was in shock. It was like I had just died just by reading those words. That my people and my country had just died and this despicable newspaper can just say it as those it means nothing. Croatia has to be super careful when dealing with the British elite. If Croatia had “died” no one in London would have shed a single tear. Best solution. Stick with Germany. Get strong economically and make sure our armed forces are strong enough so we won’t have a repeat of last century. AND THEme healthy! SE MEN CALLED THEMSELVES CHRISTIANS!?!?!?!? TV evangelists preach a canon of intolerance. Jesus never expected people to hate in his name. Makes as much sense as waging war for Christ. Is not a nice god or even a holy god. Set bells ringing in your bible-belt ears. The god of death is worshipped in Lynchburg.